Miss Dream » Blog » Complete Portuguese Codename Sailor V Shinsouban Release Online! Complete Portuguese Codename Sailor V Shinsouban Release Online! Welcome back everyone! This week we are switching gears, over to the Portuguese manga releases. 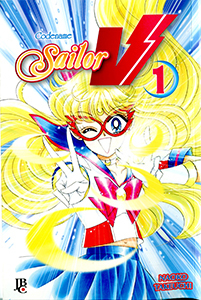 We are happy to bring to you both volumes of the Codename Sailor V Shinsouban in Portuguese! Galleries and downloads are available individually as normal, and we are also providing a bulk download torrent to download everything (or as much as) you want!